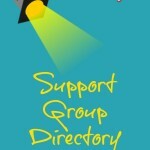 These Local Support Groups organize mom’s meetings, field trips, park playgroups, workshops, curriculum advice, buy/sell used books and more. All things socialization. Find a group where you can meet up and make new friends. Offers field trips, educational classes, sports opportunities, and many group activities, friendly and fun homeschooling community to both beginning and veteran homeschoolers. Christian statement of faith. This website lists contacts around the state for Catholic support groups and co-ops. 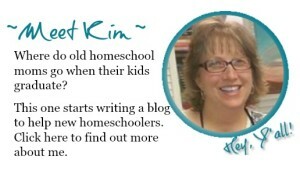 Carolina Homeschooler coordinates many field trips, park days, camping trips, and events. Priority registration for Carolina Homeschooler Accountability members, then available spaces for all homeschoolers. Also, offers National and International Trips to all homeschoolers at Traveling Homeschoolers. CHOICE is a homeschool support group providing services for homeschoolers in and around Anderson County, South Carolina. It is run completely by volunteers. Each member family contributes in some way to the success of the group. Membership in CHOICE will allow you to participate in any CHOICE activity and will also allow you to join our co-op if you choose. 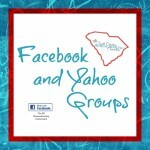 CHEC is an informal homeschool support group in the greater Camden, SC area. The purpose is to provide local homeschooling families with opportunities to support one another in the day-to-day challenges of homeschooling through meetings and activities. Offers small group activities, co-ops and field trips. Christian statement of faith, biblical perspective and approach. CHELC offers co-op classes, fun days and field trips in the Clinton/Greenville area. Christian statement of faith. The Central Savannah River Area (CSRA) is a region surrounding Augusta, Georgia–including 5 South Carolina counties: McCormick, Edgefield, Aiken, Barnwell and Allendale. Offers socialization and fellowship, testing services, Honor Society and Graduation. Members sign a Christian statement of faith and code of conduct. Eta Sigma Alpha is the first honor society established exclusively for homeschooled students in Grades 9-12.. Founded in 1999 by Joanne E. Juren, M.Ed., Executive Director of the Home Education Partnership of Texas Inc., it has grown into a national organization. Easley Home Educators is a support group seeking to provide support and encouragement to those families who are homeschooling their children in an environment conducive to good moral and philosophical instruction, with a traditional Judeo/Christian emphasis. Fort Mill Area Homeschoolers offers encouragement and support to educate your children at home. Members contribute talents and special interests to our group. General members are not required to sign a statement of faith. 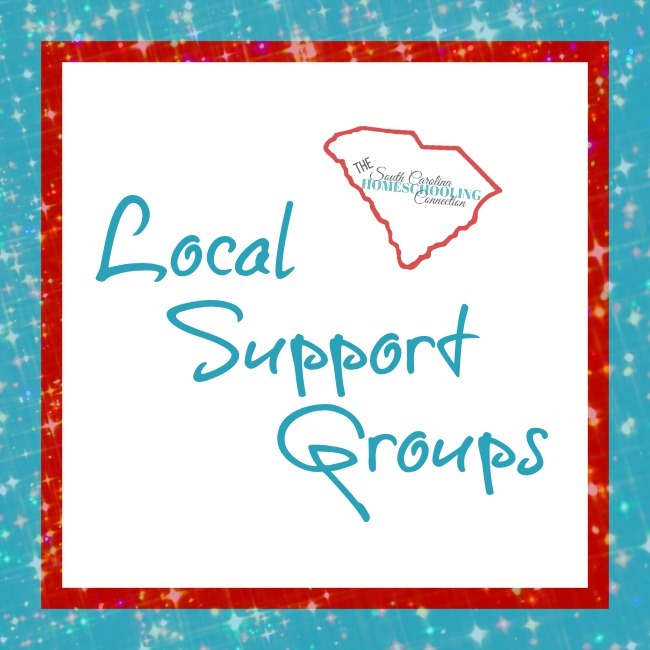 Known as HHE, Hartsville Home Educators is a non-profit, multi-denominational, member-run support group for families who homeschool throughout the Pee Dee area of South Carolina. A diverse group of families united together to provide support, educational programs through co-op and fun activities for the whole family. Welcomes all homeschool families who are comfortable within a Christian environment. HEAR His Heart Ministries works with middle school age children that would like to grow in their relationship with the Lord. Located in the Fort Mill area with outreach in the Charlotte region. Most participants are homeschooled, though not all. Heart to Home Learning, Inc. offers educational and moral support by providing quality instruction and educational assistance at an affordable cost. Thrive is a fully accredited non-traditional private school program of Heart to Home Learning, Inc. Our school which includes classes, tutoring, individualized lessons, online learning facilitation and support, electives, lesson plans, record keeping, and standardized testing for students who are educated at home. University model school program where students attend classes full days and 2 days the instruction is done at home. The online school program is five days a week. Home Educator’s in Richland And Lexington District 5 offers Christian support and encouragement for families who educate, have educated or intend to educate one or more of their children at home. Fall and Spring groupwide meetings, testing services, small group meet-ups and closed Facebook discussion forum. Homeschoolers United for Growth and Support (HUGS) is a Christian support group that provides enrichment opportunities, field trips, and family events. They are an active group, but not currently accepting new members. Christian homeschool support through the many LCHEA activities and meetings offered to you. Field Trips, Parent Get-togethers, Park Days, Spelling Bees, and much, much more! Homeschool life together as we share in Christian fellowship with one another. NHERI conducts homeschooling research, is a clearinghouse of research for the public, researchers, homeschoolers, the media, and policy makers, and educates the public concerning the findings of all related research. While not technically a support group–it offers great informational resources to bolster your own homeschooling journey. Knowledge is power–and that’s the best kind of support. Ninja Homeschoolers are skilled educators who are strong in the desire to educate their children, astute in knowing what is best for them, and disciplined in pursuing excellence (all Ninja qualities). Offers encouragement, field trips, park days, moms’ nights out, and other fun activities! OCHEA is a support group offering field trips and meet-ups. Members teach their children of all grade levels, from their own choice of curricula and schedule. While many different Christian denominations are in this group, the focus is working together to do the best for our children. The OLH Homeschool Support group assists parents in their role as the primary educators of their children. Offers a weekly parent-run educational cooperative and hosts special events year round. All events are open to all members of the parish. PeeDee Christian Home Educators Association is a Christian homeschool support group. Offers support and encourage families who have chosen to take on the challenge of homeschooling their children. Some of the programs offered are Monthly Mom’s Meetings, Weekly Science Labs and Enrichment Classes, High School Outings, Science Fair, History Fair, Group Field Trips, Holiday Parties, Field Trips, and Annual Iowa Testing. REACH is an acronym: Resources, Encouragement, Activities for Columbia Homeschoolers. Secular, inclusive support offers lots of meet-up opportunities, field trips, co-op classes, student council, holiday parties, graduation program, volunteer opportunities, annual used book sale/homeschool expo. No statement of faith to join or to serve on the board. Reaching and Encouraging Area Christian Homeschoolers offers quarterly workshop events, mentoring/discipleship, field trips, weekly recreation activities, testing, academic fairs and co-op classes. Rock Hill Area Homeschoolers is an inclusive local support group that offers events and activities. Provides meet-up opportunities for our children to create relationships outside of church, co-ops and any field trips that they may do. South Carolina Home Educators’ Association is called by its initials: SCHEA. SCHEA’s primary mission is to monitor legislation in order to preserve homeschool rights in South Carolina. Hosts annual homeschool day at the capitol, provides a weekly newsletter of resources and upcoming events. Supporting Home Instruction Encompassing Lexington District is a support group made up of homeschool families dedicated to teaching their children for the glory of God. SHIELD offers support, encouragement, resources and activities for our members: group meetings, mom’s night out, teen activities, seminars, educational materials, standardized testing and membership in SCHEA. Sumter Area Family Educators is to offer information and support from a distinctly Christian perspective to all families interested in homeschooling in Sumter and the surrounding areas. Field trips, skate days, monthly meetings, and much, much more! Experience homeschool life together as we share fellowship with one another. Like-minded Christian home educators dedicated to observing the Biblical commands to promote home education as the Scriptural design for education. United Christian Homeschoolers Unlimited is a large family of Christian homeschoolers growing together, seeking to nurture, train and raise up children in the Lord while home educating them. UCHU offers helps, resources, encouragement, creative ideas to homeschool, Scriptures to encourage along the away, opportunities to have live chat with fellow homeschoolers and more. Vine & Branches offers academic and enrichment co-ops, book clubs for boys and girls, First Lego League, field trips, small groups and much more. Established to support through fellowship in a cooperative, Christian environment to Grand Strand homeschoolers. YEAH exists to support and encourage Christian homeschooling families in York and Chester Counties, South Carolina, and Gaston and Mecklenburg Counties, North Carolina. Opportunities to participate in student clubs, YEAH enrichment classes, workshops, field trips, and other organized activities including YEAH sponsored Senior High Cap and Gown Graduation.